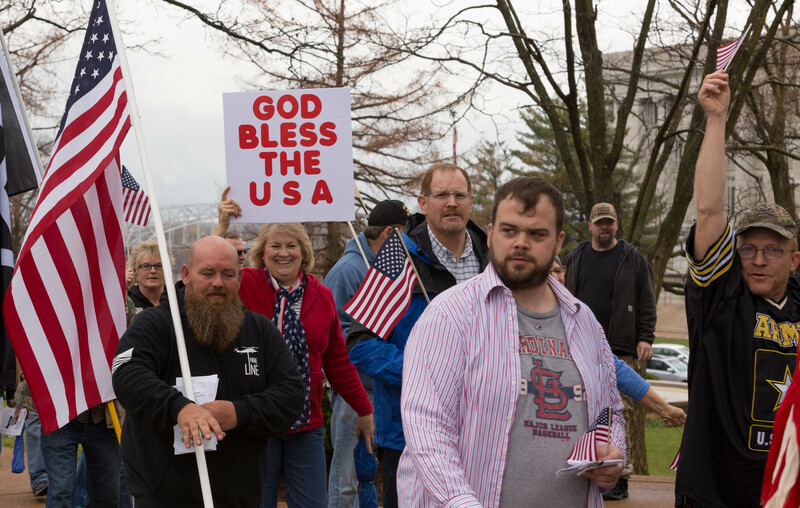 There was a small gathering of Donald Trump supporters on the grounds of the Capitol in Jefferson City this afternoon. 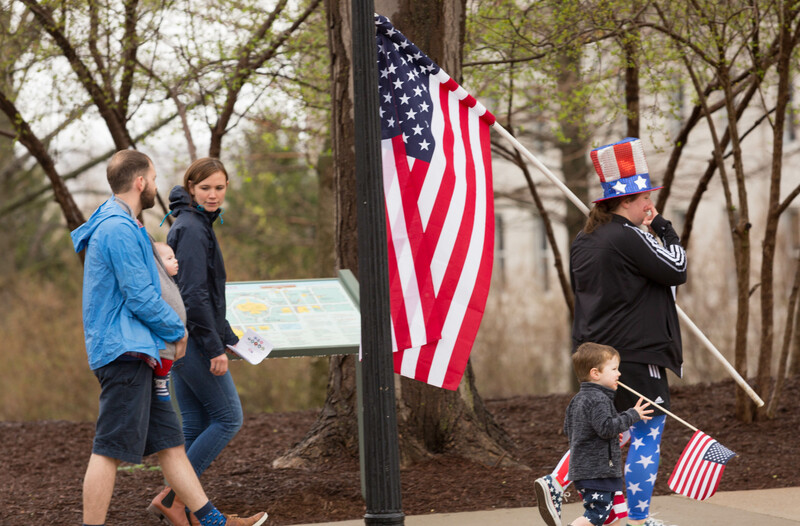 There were intermittant showers throughout the day, but the group managed a parade around the Capitol. This being Jefferson City on a Saturday afternoon, there wasn’t a crowd along their parade route. 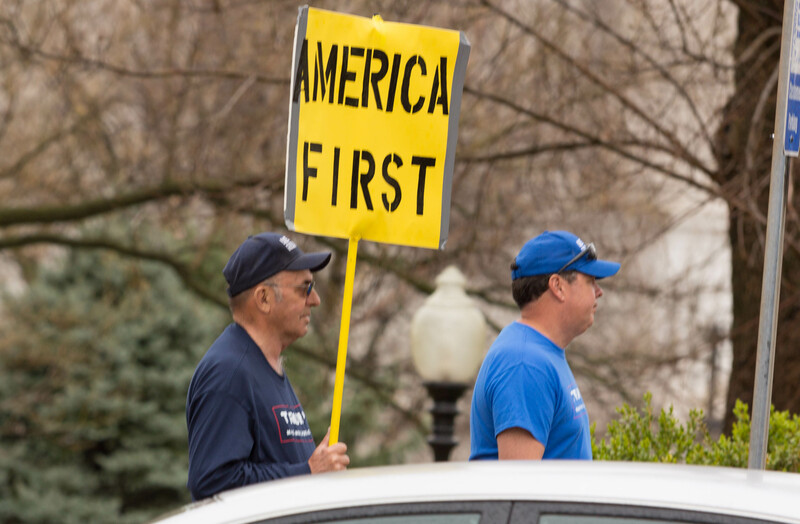 “America First” – Trump Teabagger rally in Jefferson City – March 25, 2017. 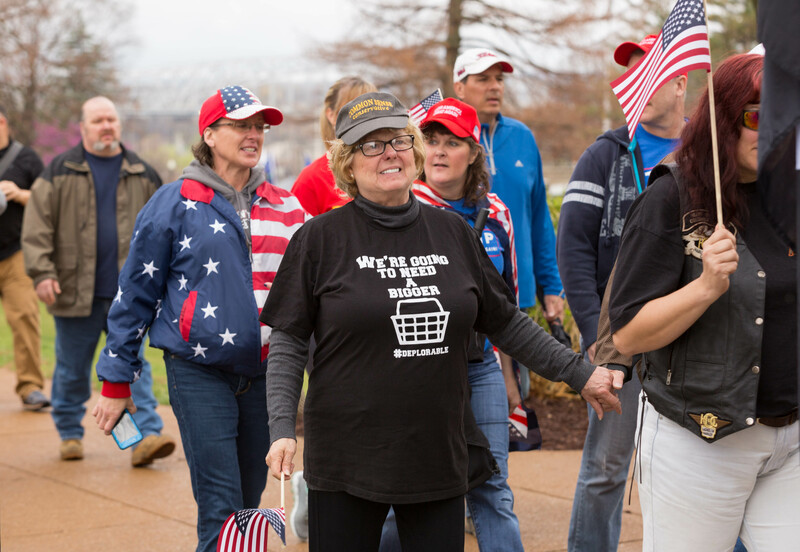 There’s a sameness to the rally attendees, not a billionaire in the bunch, but they somehow managed to bring themselves to vote for the interests of billionaires. 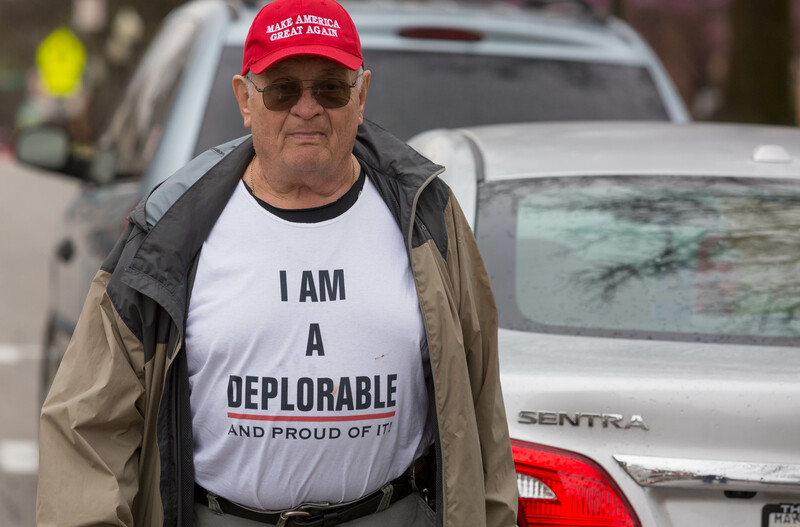 There’s the same defiance and resentment, directed at whoever, in the memes emblazoned on their t-shirts which we saw in the teabagger days throughout 2009. Their great leader had a really bad week and will probably continue to do so. That won’t budge their faith in him however misplaced anyone else thinks it is.